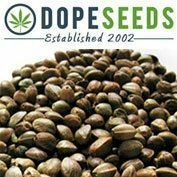 Here at dope-seeds we like to give away as many free cannabis seeds as possible. All of our promotional giveaways of free cannabis seeds are listed on our FREE OFFERS page so be sure to check out what is available before ordering. We give away free cannabis seeds depending on how much money you spend and we have various free-seed giveaways from the numerous seed-banks we stock.